Ready yourself. The Brewbies Festival is turning 10 this year! The event returns to Bagby Beer in Oceanside, CA on Saturday, February 9th to benefit the Keep A Breast Foundation. Savor handcrafted beer from over forty of the best breweries on the West Coast with many local and regional breweries brewing an exclusive pink beer for the event. To date, Brewbies has raised nearly half a million dollars with the participation of the craft brewing community. This partnership helps the Keep A Breast foundation fulfill their mission of empowering young people around the world with breast health education and support. 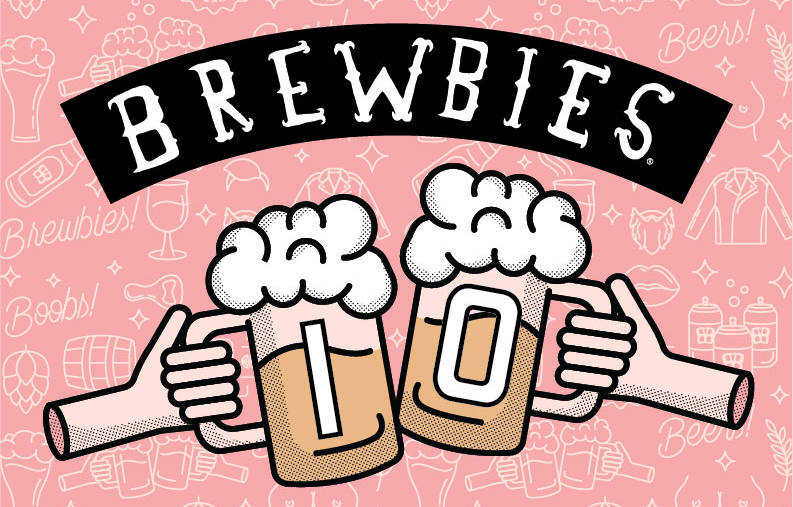 “Brewbies, quite simply, is one of the best beer fests we do.” Says participating Brewery CEO Virginia Morrison, ESQ from Second Chance Beer Co. “ As a female brewery CEO who has lost family members to breast cancer, it’s a personal passion. I am a firm believer that prevention is THE cure.” Three Weavers, Faction Brewing, Automatic Beer Co. and Eagle Rock Brewery, are also among the craft breweries you will find on-site with special small batch beers made especially for the event. The 10th Annual Brewbies Festival will be from 1-5pm with a special VIP hour beginning at Noon. Entrance into the festival will include a commemorative glass, an “i love boobies!” bracelet, and unlimited samplings. General Admission in advance is $55, and VIP is $75. Live performances presented by Ernie Ball featuring Shake Before Us and TBD. Tickets may be purchased at www.brewbies.org. 100% of the proceeds will benefit the Keep A Breast Foundation’s Check Yourself Program.